Student activist and founder of the new party Demosistō Joshua Wong says he believes the use of violence will not help Hong Kong achieve a higher level of democracy. 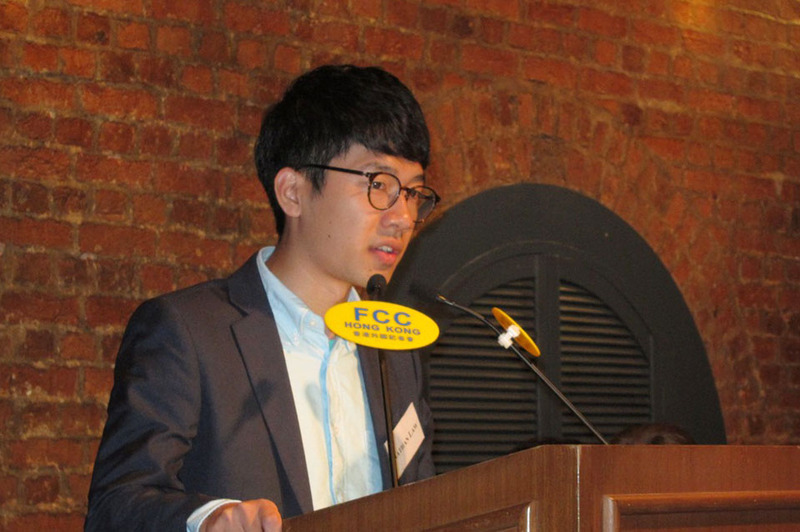 Wong, who is Secretary General of Demosistō, was speaking at an FCC lunch on June 27, along with fellow student activist Nathan Law, formerly the secretary general of the Hong Kong Federation of Students and now chairman of Demosistō. Wong said he believes the society should engage in more discussion over the city’s future, and decide through a referendum how it should be governed after 2047. He said only through “self-determination” can Hong Kong people have a real say. “Compare the results of ‘Fish Ball Revolution’ and ‘Umbrella Movement’, it already explained that it’s not the problem that whether you’re radical or not. Don’t think that using violence can ensure you can reach the goal, because no matter you’re from the side of the localists or you’re from the side of the pan-dems, actually the most serious limitation that we face is we don’t have enough bargaining power”, he said. The number of Tiananmen candlelight vigil participants dropped this year as many “localists” boycotted the event to show their disappointment at the pan-democrats’ pan-Chinese idealism. Wong wasn’t one of them. He emphasised Demosistō’s support of human rights movements in China, contrary to many localist groups. 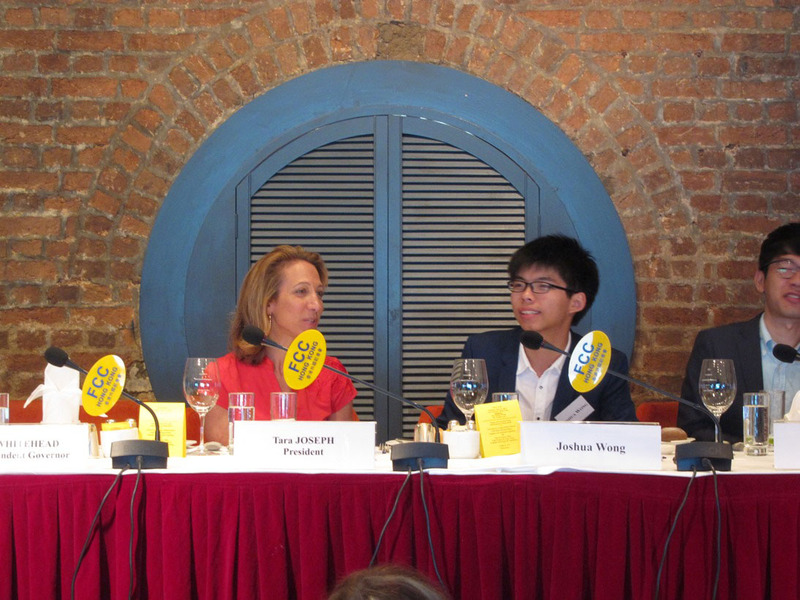 “We fight for self-determination [of Hong Kong], but we won’t forget about human rights in China,” Wong said. 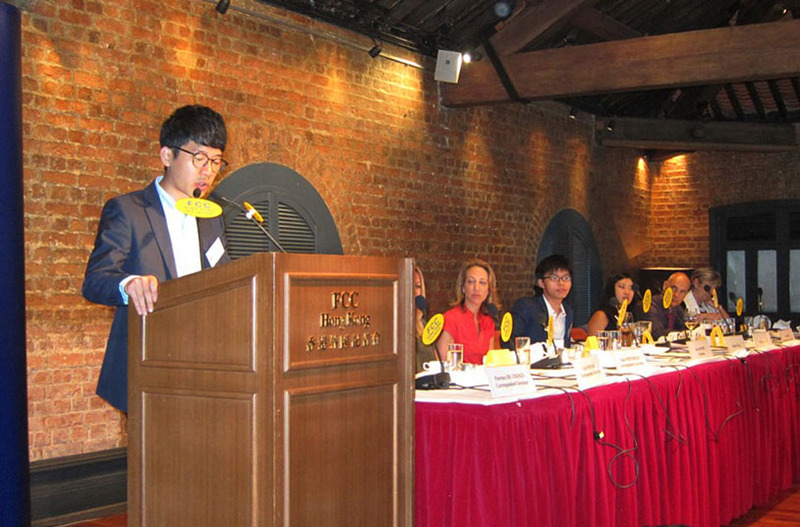 Demosistō has proposed to start a deliberation process for Hong Kong’s future by 2030 at the latest. “In light of the difficulties currently faced by the opposition, we put forward the self-determination movement in hope of provoking Hong Kong people to examine the Hong Kong political system and decide on their future post-2047,” Law said. He also believes that another non-violent civil disobedience movement would come soon. Wong’s judicial review application to lower the age threshold for candidacy for Legco from 21 to 18 has been rejected by the High Court. This means that Law and Oscar Lai Man-lok might be the only Demosistō members to stand in September’s election. Tens of thousands took to the streets of Hong Kong for the annual July 1 protest march as the city marked the 19th anniversary of its return to Chinese rule, but fears of orchestrated violence by breakaway radicals proved unfounded. The Civil Human Rights Front, the organiser of the annual mass rally, put the turnout at 110,000, compared with last year’s 48,000. Police said the number of marchers peaked at 19,300, compared with 19,650 last year. While Professor Paul Yip Siu-fai, a statistician from HKU, estimated 26,600 people joined the march. The university’s public opinion poll, conducted separately, put the figure at 26,000.